Mycorrhizal Applications continues to build its lineup of soil health products with the recent addition of MycoApply Ultrafine Endo/Ecto. According to the company, the new product has been developed in response to the popularity of its MycoApply Ultrafine Endo formula, and introduces the addition of ectomycorrhizal fungi, in order to create a highly concentrated and diverse product, which will benefit approximately 95% of plant species. MycoApply Ultrafine Endo/Ecto features four species of endomycorrhizae and seven species of ectomycorrhizae. These types of mycorrhizae are biological, symbiotic soil fungi, which colonize plants’ root systems and act as a living extension of the roots, drastically increasing the absorptive surface area and improving the plant’s nutrient and water efficiency. Data shows that mycorrhizae provide a range of direct and indirect benefits to host plants through this symbiosis, and ultimately increase plants’ overall vitality, stress resilience, drought resistance, and transplant success. They can also reduce necessary investments in other important production inputs such as fertilizer and irrigation. The company points out that this new product is a suspendable powder formulation, which offers versatility in application methods, as it can be incorporated directly into soil or growing media or suspended in water or liquid fertilizer and applied as a drench, spray, root dip, plug tray dip, or applied directly to roots during transplanting or landscape out-planting. This product also can be a beneficial addition to hydromulch or hydroseed slurries for use in restoration and erosion control projects. “With the addition of seven ectomycorrhizal species, MycoApply Ultrafine Endo/Ecto is ideally suited for nurseries, landscape professionals, and anyone who is growing or maintaining hardwoods, conifers, or woody shrubs, along with flowering or vegetative ornamentals, as it covers all of the bases for both endo- and ectomycorrhizal plants,” stated Blair Busenbark, Sales and Commercial Marketing Manager for Mycorrhizal Applications, in a prepared news release. MycoApply Ultrafine Endo/Ecto is available for professional growers and green industry professionals in 1 lb. and 20 lb. bags through horticulture supply distributors throughout the U.S. (this product is not intended for retail sales). 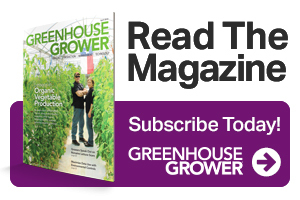 Paul Rusnak is Senior Managing Online Editor for the U.S. Horticulture Group at Meister Media Worldwide, which includes Florida Grower, American Vegetable Grower, American Fruit Grower, and Greenhouse Grower brand titles. See all author stories here.